Stew Leonard Names 19 LB Lobster "Bon Jovi"
Jon Bon Jovi made a surprise appearance at Long Island’s Stew Leonard’s in Farmingdale to visit hundreds of shoppers, fans and staff. 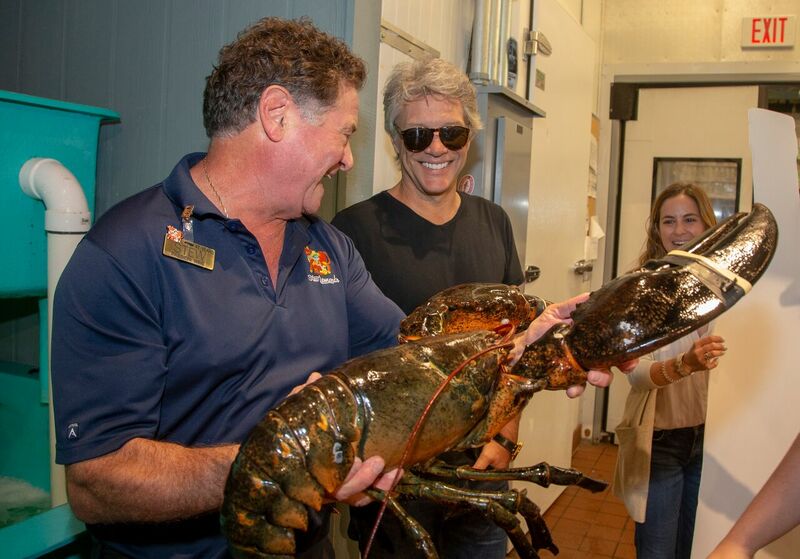 Bon Jovi, a surf and turf fan, was greeted by Stew Leonard’s CEO Stew Leonard, Jr., with a nineteen-pound lobster and Stew Leonard’s famous tomahawk steaks. 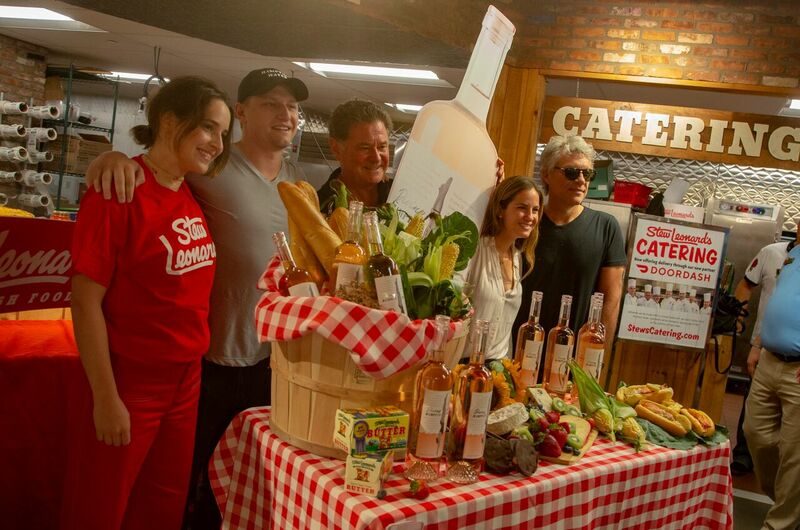 Bon Jovi was there to support his new venture with his son, Jesse, who launched a rosé company this past year. Stew Leonard’s Wine and Spirits, owned by Stew Leonard, Jr., will be launching the sale of Jesse and Jon Bon Jovi’s exclusive “Diving Into Hampton Water” Rosé, a name which Jesse and Jon innovated. The wine will be available throughout the east coast. “Diving Into Hamptons Water” is a Rosé made in the Languedoc region in the south of France with world renowned winemaker Gerard Bertrand.